The free Upgrade Advisor utility checks your PC's hardware and software to ensure that they will still work with Windows 7. Since you're reading this, I'll assume you've already made the decision to upgrade, have checked to make sure your hardware is compatible, and have purchased your upgrade. 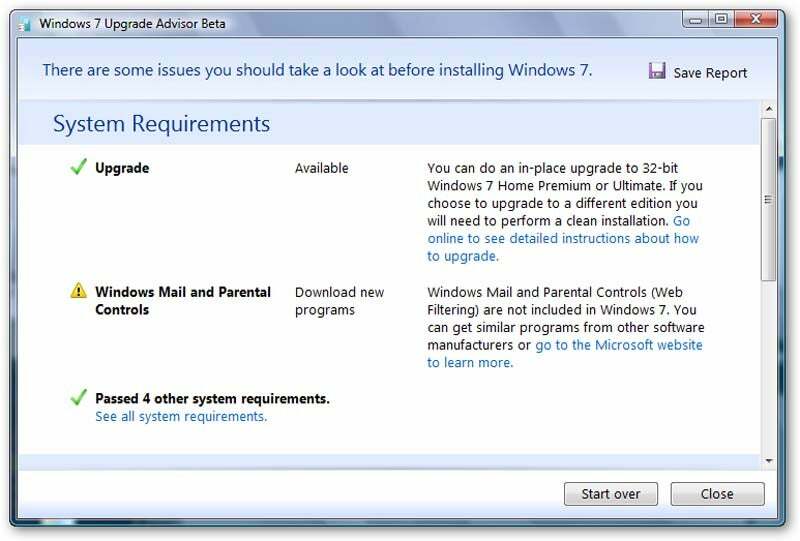 If you haven't yet checked your hardware, download and run the Windows 7 Upgrade Advisor (as a general rule, if you're running Vista, you probably already have Windows 7-capable hardware). You have one other early decision make: Do you want to upgrade your current Windows installation, or go for a clean, fresh install? The upgrade is certainly easier--your applications, your settings, and your data travel with you, and there's little you have to do after the install itself is complete. After a clean or fresh or (Microsoft's word) custom install, you'll have to set up your users and network, reinstall your drivers and programs, and move your data back into place. A custom install is cleaner than an upgrade. Windows accumulates garbage as you use it, and flushing it out every so often makes sense. So does starting a new version of the OS with a clean slate. If you're currently using XP, the choice has been made for you. The custom install is your only option. These instructions are for both kinds of installs. I'll let you know when instructions are only for one group or the other. Vista may be gone without tears, but it had a few features you may want. Upgrading from XP will be harder than upgrading from Vista.